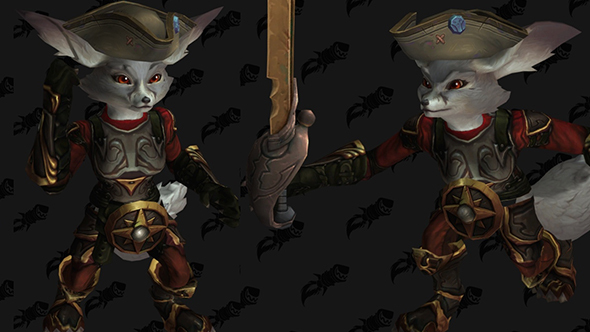 The Vulpera are a race of adorable fox people who will be added to World of Warcraft in the upcoming expansion, Battle for Azeroth. The question is whether they’ll be a playable race in the expansion, and the datamines are increasingly pointing to an affirmative answer on that one. Check out details on all the (confirmed) Allied Races in Battle for Azeroth. The latest comes from Wowhead, showcasing new sets of animations and fur markings for Vulperan characters. Check out their adorable SleepUp animation, or any number of others in the dressing room model viewer. All this is a bit more elaborate than you’d expect from a purely NPC race, and that’s been the story for a while now, but it’s worth keeping your expectations in check.